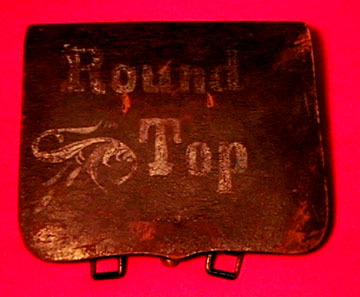 This typical of the type of relic that was displayed in the early Gettysburg museums. The back view is interesting because there were no belt loops, just the loops for the shoulder sling. 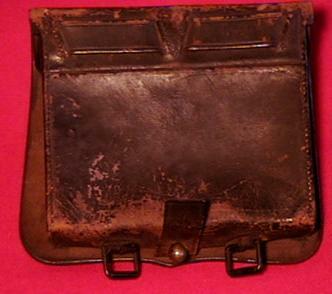 It is the large size used for .69 caliber "buck & ball" load and could have been Union or Confederate.